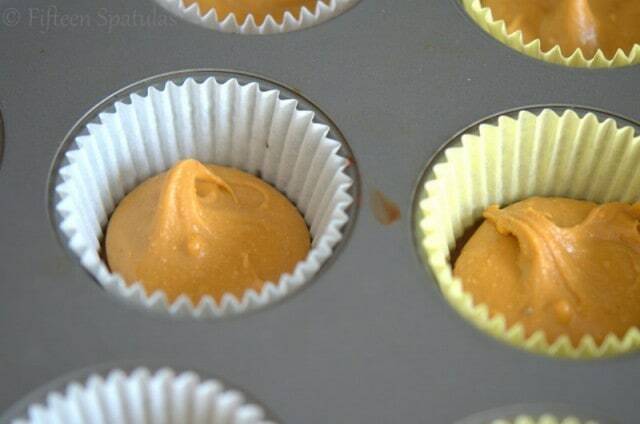 Homemade Peanut Butter Cups are easy to make from scratch. You get to use your good quality chocolate and all natural ingredients! 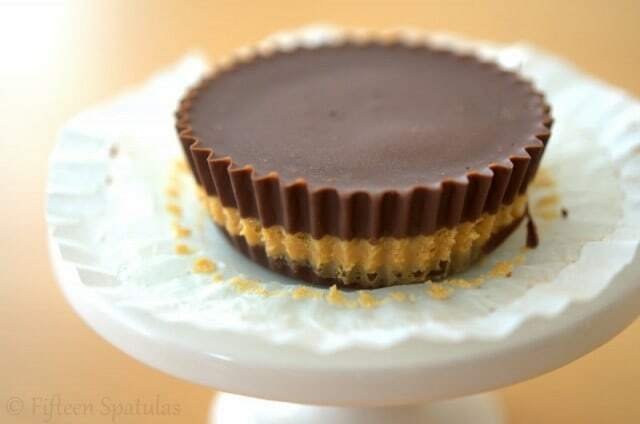 Oh the peanut butter cup. So simple, so unpretentious, and so heavenly. 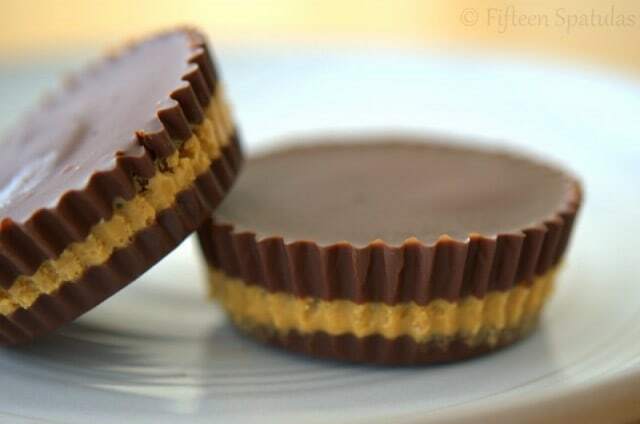 You might say well, why make peanut butter cups when you can buy them? 1. I get to use my good chocolate and good peanut butter. 2. I always appreciate things more when I go through the process of making them myself. And I swear I eat less this way. 3. 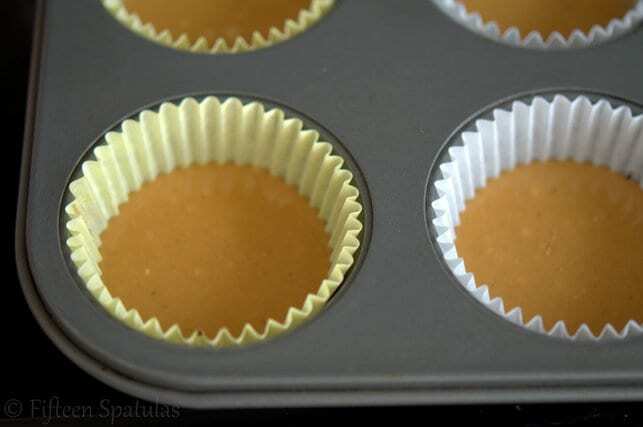 When I make these myself, I know there are only four ingredients. And none of those ingredients are preservatives or other stuff I don’t want in my body. 4. They’re just FUN — My friend Meagan’s kids just have the grandest time banging the pan against the counter like a bunch of whackadoodles. 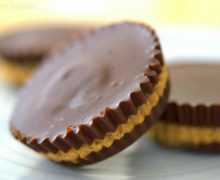 And place a little dollop of the whipped peanut butter atop a small layer of melted semisweet chocolate (that’s been frozen for 15 minutes). Freeze for 15 minutes, then pour on the top layer of melted chocolate. Freeze for 15 more minutes until it hardens, then you’re good to go! Homemade Peanut Butter Cups are simple to make yourself and only require a handful of ingredients! Melt half the chocolate either in a double boiler (the safer method) or in the microwave (the more dangerous, but easier/lazier method). I opt for the latter. If you don’t know how to melt chocolate this way, read my Explanation of Chocolate Behavior article. Distribute the melted chocolate into the 12 muffin tins (I use a cookie scoop to portion the chocolate), only barely filling the bottom of each cup. If the chocolate does not lie flat, drop the pan repeatedly on the counter, and it will flatten and smooth itself out. Place the pan in the freezer for 15 minutes. Melt the last 1/2lb of chocolate, and portion small spoonfuls of chocolate into the cups, one cup at a time, immediately dropping the pan repeatedly on the counter to flatten each cup. 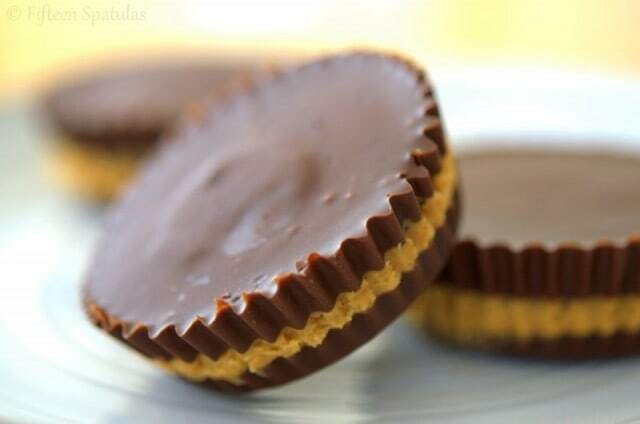 In my experience of making these, the chill from the peanut butter (because it was just in the freezer) will harden up that top layer of chocolate very quickly, so you must flatten out the tops immediately after you pour the chocolate into each cup. Place the peanut butter cups in the freezer for 15 minutes to set the top layer of chocolate. *If you'd like a softer chocolate to bite into, you can do a chocolate ganache instead of melted chocolate (here's a post on how to make it, but it's basically just heavy cream and chocolate), or you can stir in 2 tbsp of avocado oil into each 8-ounce batch of chocolate, and that will make it softer. 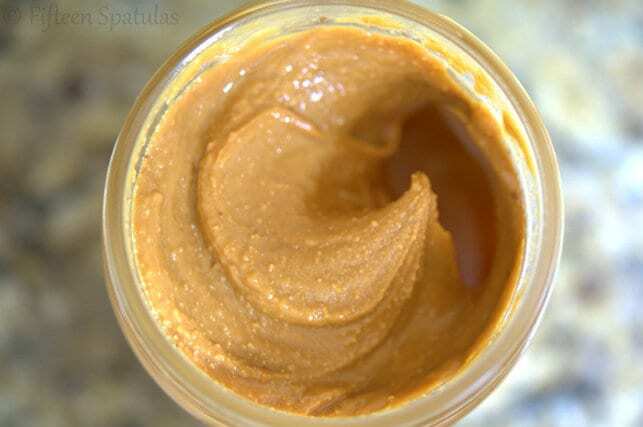 So I made this recipe a few days ago, and while they were delicious, the peanut butter never really solidified. Is there anything that might have caused this? 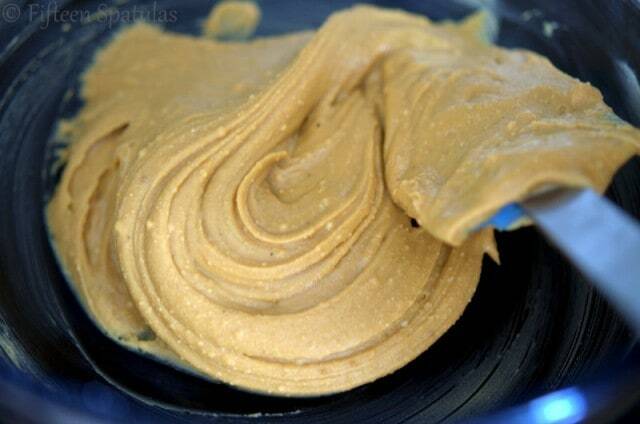 Are you using natural peanut butter?